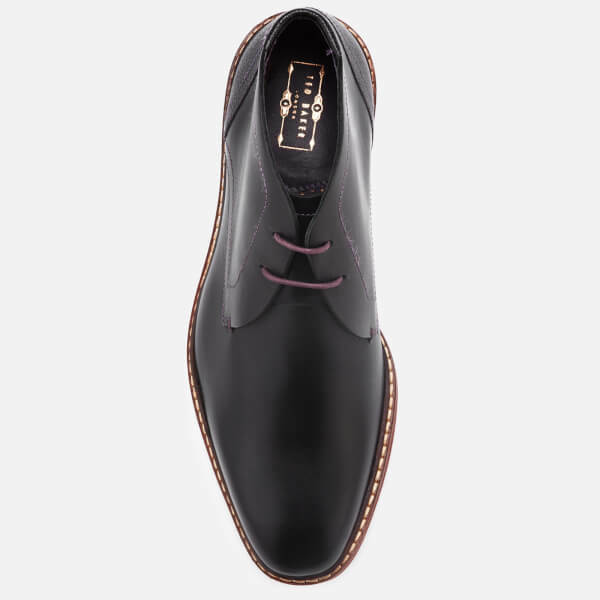 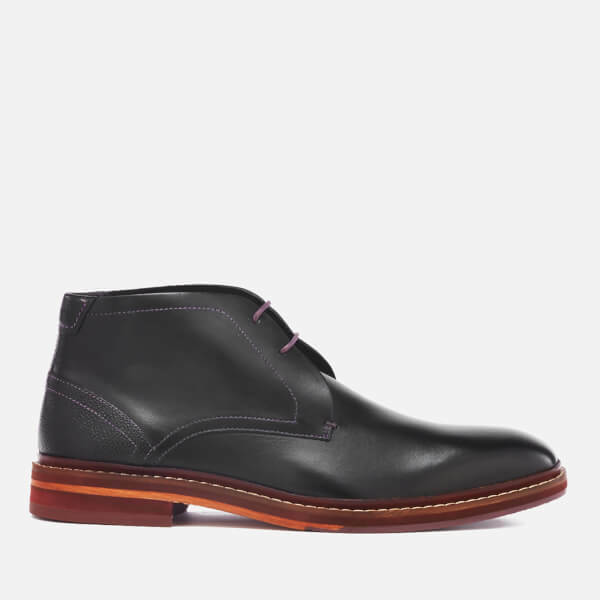 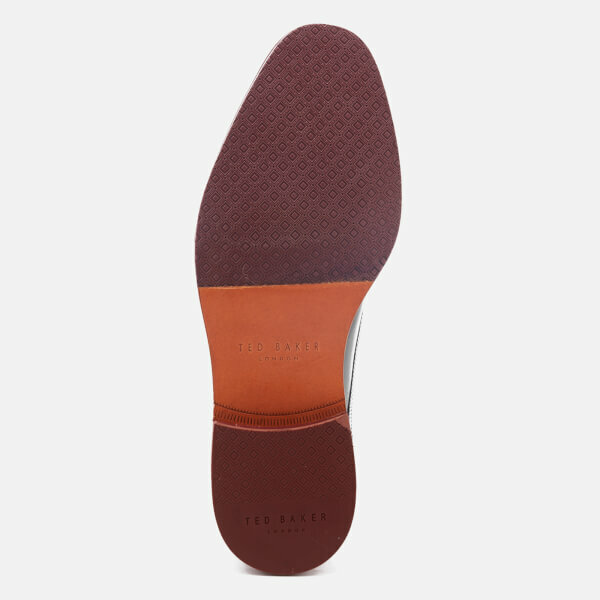 Men’s ‘Azzlan’ leather desert boots with a square toe silhouette from Ted Baker. 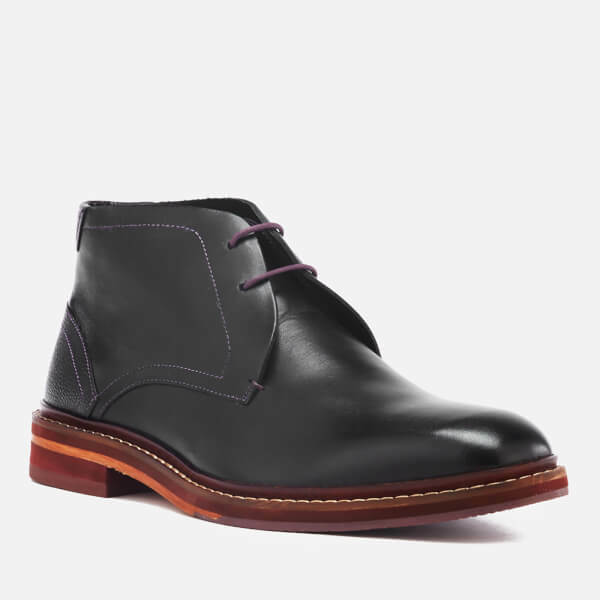 Crafted with smooth leather uppers, the two-eyelet desert boots feature a textured panel to the heel, contrast purple stitching throughout and purple laces. 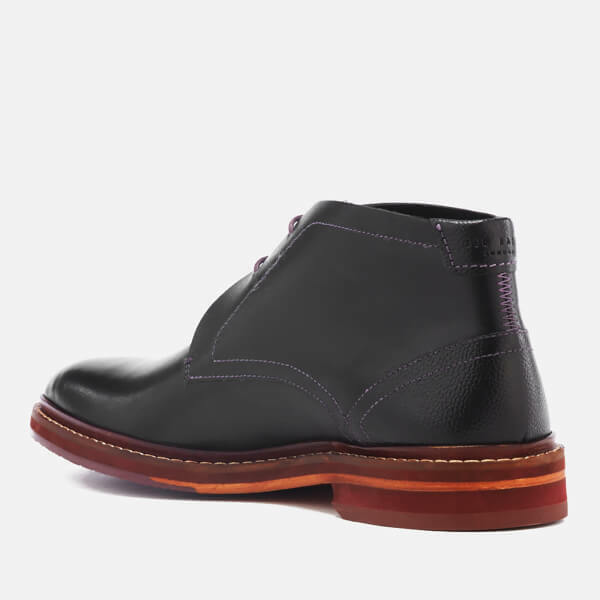 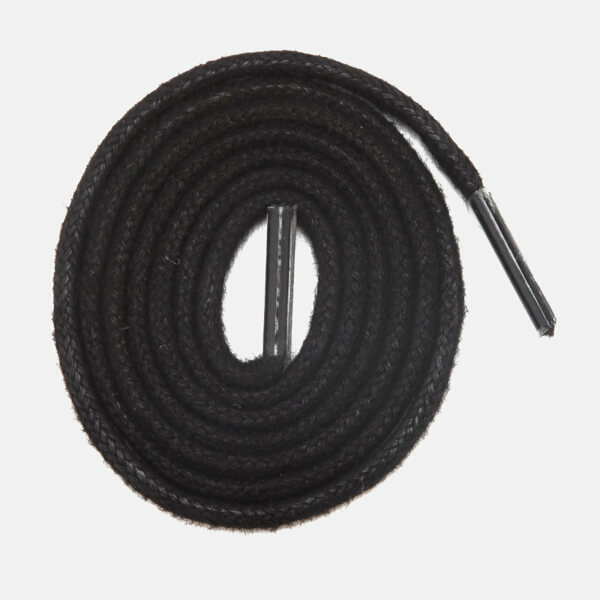 Set on a leather and rubber sole, the boots are detailed with white welt stitching, a small heel and a textured rubber outsole for added traction. 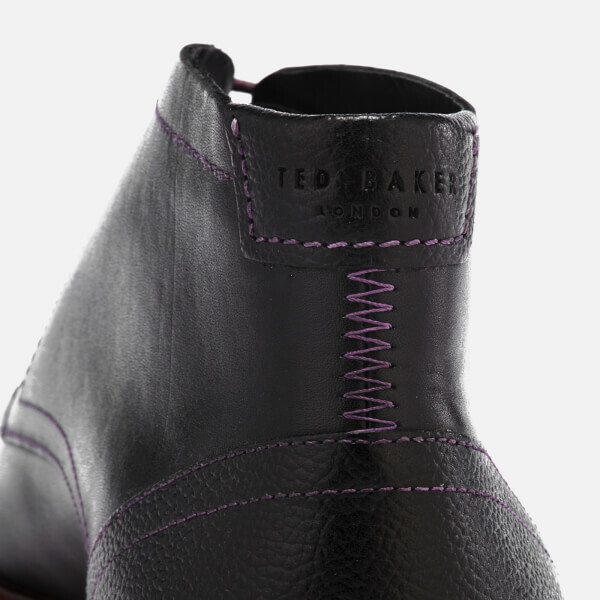 Complete with signature Ted Baker branding on the heel and a spare pair of black laces.